Vintage Australian Old Colour Postcard. 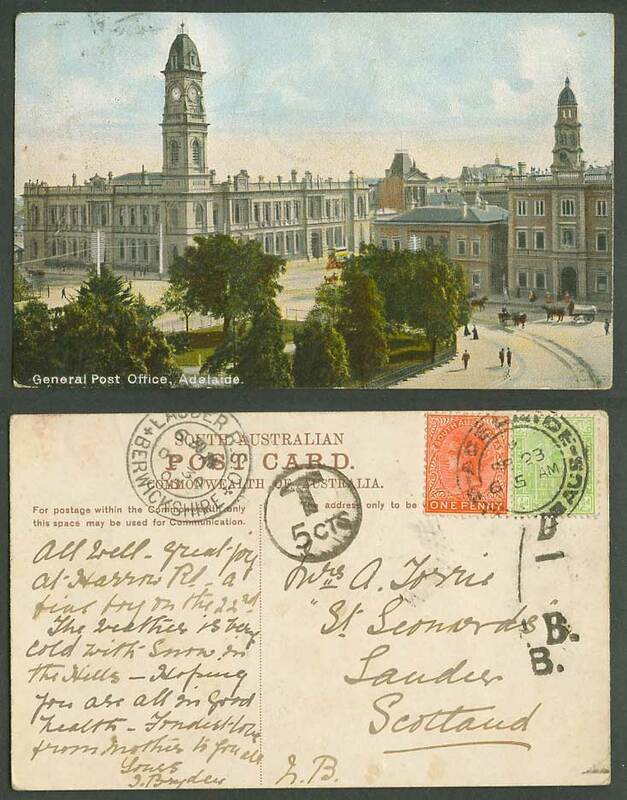 Australia, General Post Office G.P.O. GPO, Adelaide. Street Scene. Clock Tower. Garden. Postally Used in 1905 with 1/2d and Queen Victoria 1d stamp, tied Adelaide, addressed to Scotland with Lauder Berwickshire arrival postmark. Postage Dues T 5cts and 1d I.B.B.